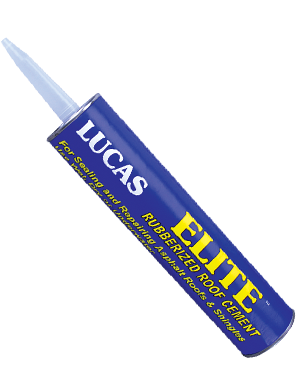 All-weather rubberized flashing cement with strong, flexible polyolefin micro-fiber reinforcement. Highest quality and performance available. Designed as a super-premium, high-performance flashing cement intended for use on modified bitumen and asphalt roofs. It is also an excellent cold process inter-ply adhesive for SBS modified bitumen and is recommended as a high-performance shingle tab cement.